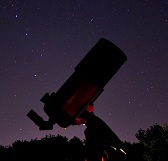 Images credit & copyright: Arianespace. Launch Alert! 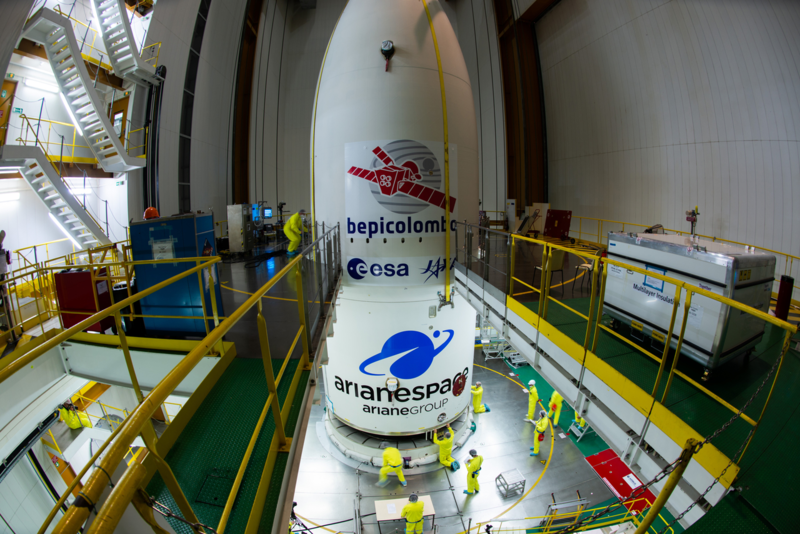 Wednesday, December 4, 2018 at 20:37 UTC (15:37 EST) Arianespace will launch their massive Ariane 5 ECA rocket, designated VA246 carrying the GSAT 11 communication satellite & GEO-Kompsat 2A weather satellite from Launch Site, Ensemble de Lancement Ariane-3 (ELA-3) at the Arianespace Spaceport in Kourou, French Guiana. 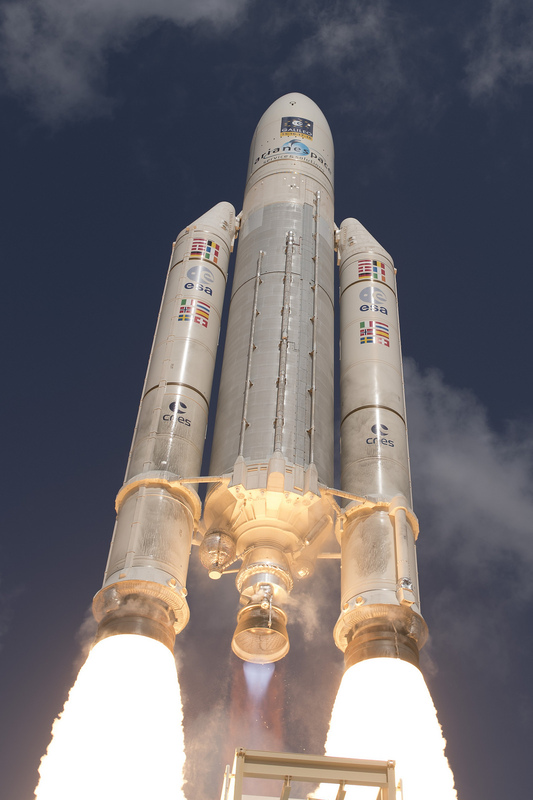 This will be Arianespace’s 8th launch of 2018, the 102nd launch of the Ariane 5 and its 6th launch of 2018. Arianespace, Ariane 5 Rocket: 2-stage expendable launch vehicle that stands 50.5 m (165.8 ft.) tall, 5.4 m (17.7 ft.) in diameter and is equipped with two solid rocket boosters. It comes in two variants (ECA & ES) and carries payloads weighing more than 10 metric tons to Geostationary Transfer Orbit (GTO) and over 20 metric tons into Low Earth Orbit (LEO). Ariane 5 ECA: The Geostationary Transfer Orbit (GTO) workhorse usually carries a payload of two satellites. The primary difference from the Ariane 5 ECA configuration is the use of a storable propellant upper stage, which can perform multiple burns to deploy payloads into the desired orbit. Ariane 5 ES is tailored for low-Earth orbit missions with the Automated Transfer Vehicle (ATV), a resupply spacecraft for the International Space Station (ISS) that weighs more than 19,000 kg at liftoff. 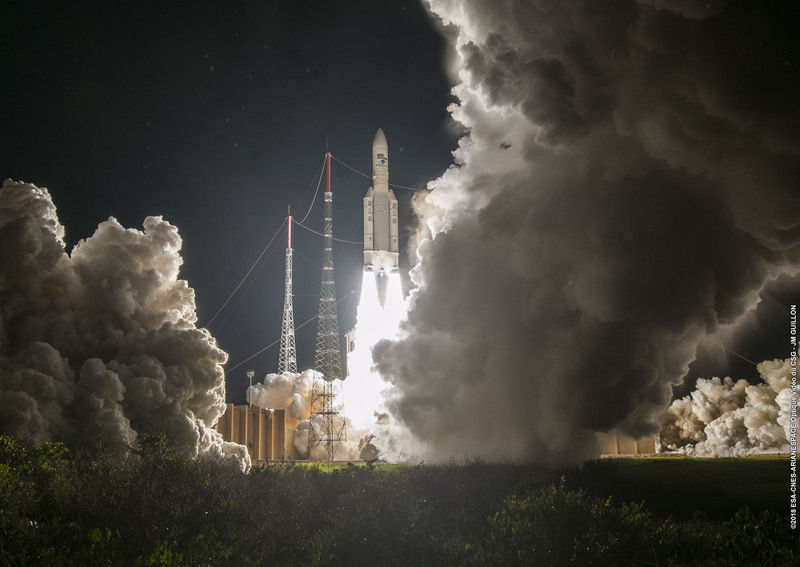 The ES Ariane 5 version also is capable of lofting satellites for Europe’s new Galileo space-based navigation system. The primary difference from the Ariane 5 ECA configuration is the use of a storable propellant upper stage, which can perform multiple burns to deploy payloads into the desired orbit. Payload Fairing (PLF): The main payload fairing is a 2-shell protective enclosure 5.4 m. (17.7 ft.) in diameter and 20 m. (65.6 ft.) in length. Roughly 3 minutes and around 100 km after liftoff the PLF halves are pyrotechnically jettisoned. 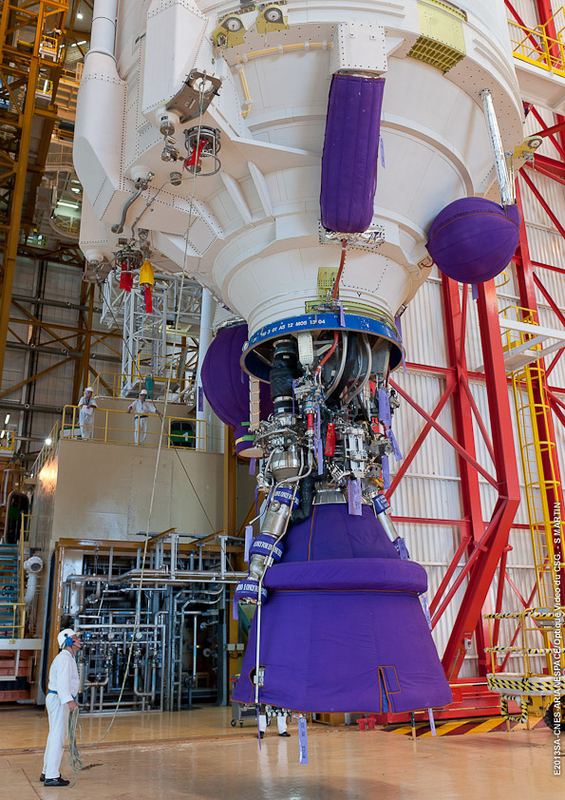 Inside the fairing of the ECA configuration is the structure that accommodates two satellites called “Systeme de Lancement Double Ariane 5” or SYLDA 5. Upper stage also contains the Vehicle Equipment Bay (VEB-C) or “The Brain” which controls the entire vehicle autonomously and also transmits flight data back to the ground. Thrust Each (sea level): 7,080 kN (1,590,000 lbf). Image | This entry was posted in Images, Launches, News, Spaceflight Companies & Vehicles and tagged Ariane 5, Arianespace, DanSpace77, GSAT 11, Kompsat 2A. Bookmark the permalink.